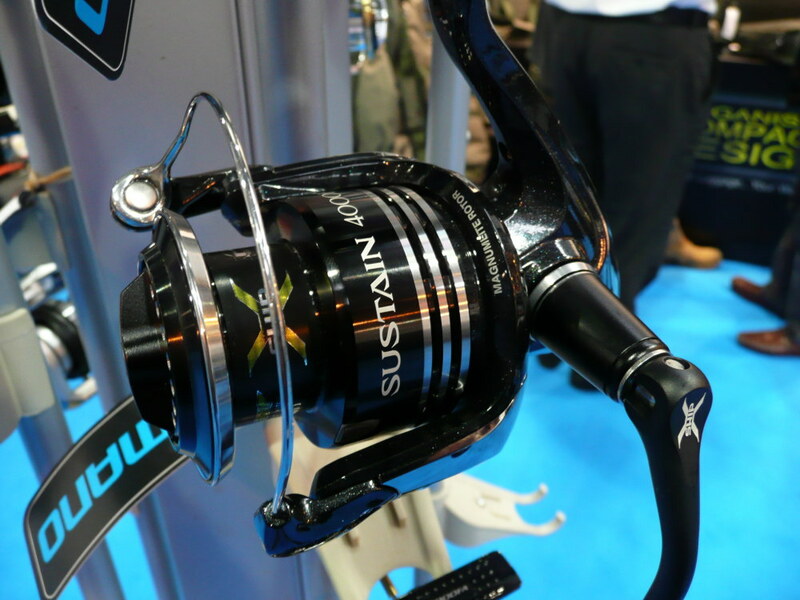 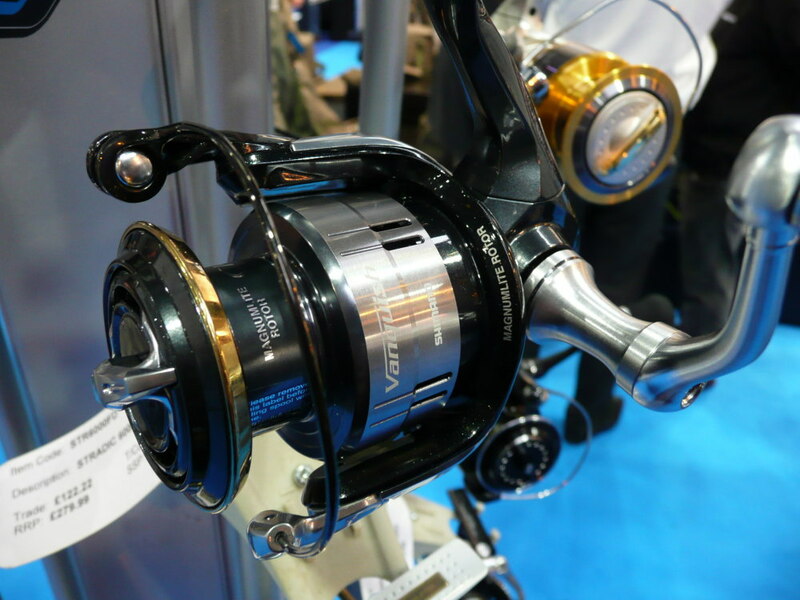 Shimano only ever has a small selection of its tackle at the trade show but these two spinning reels were stand out for me - the £400+ Shimano Vanquish and the £250+ Shimano Sustain. 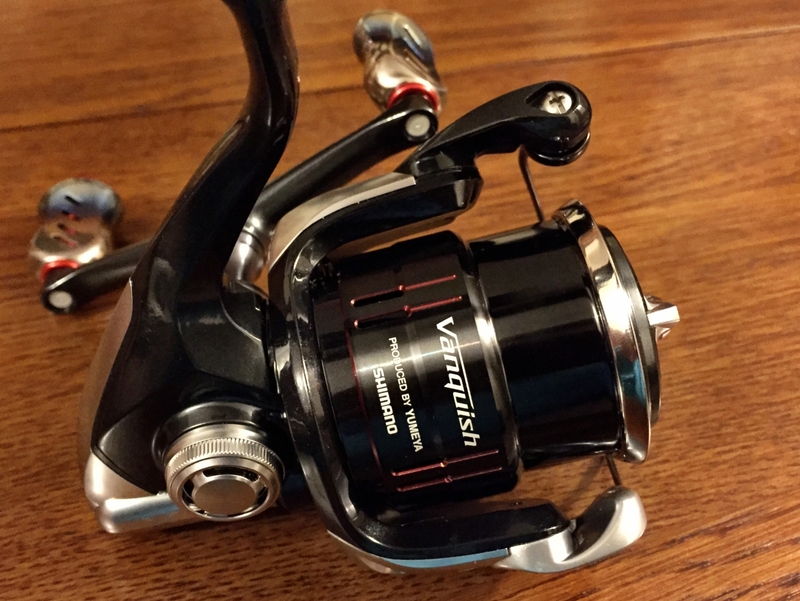 I actually prefer the look of the Sustain - that black colour scheme is pretty sick - but when you take a close look at the Vanquish you can see the extra quality the higher price tag gets you. 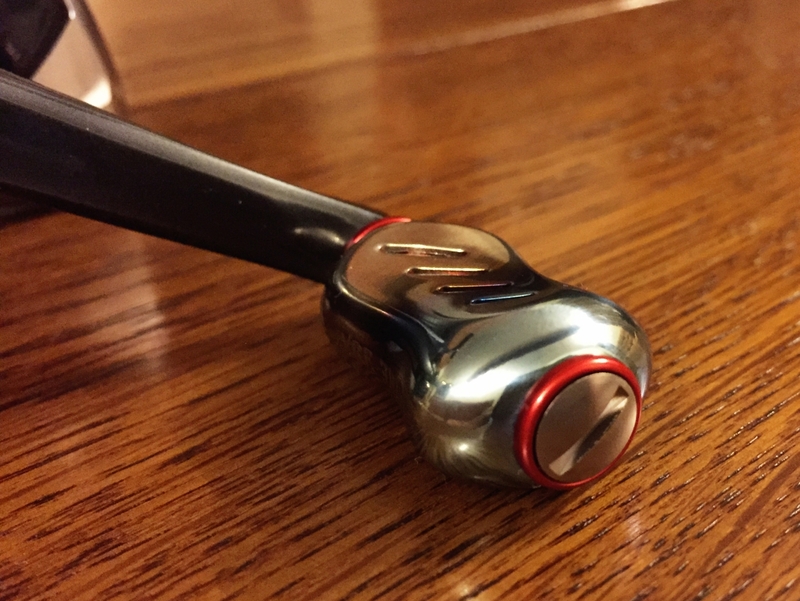 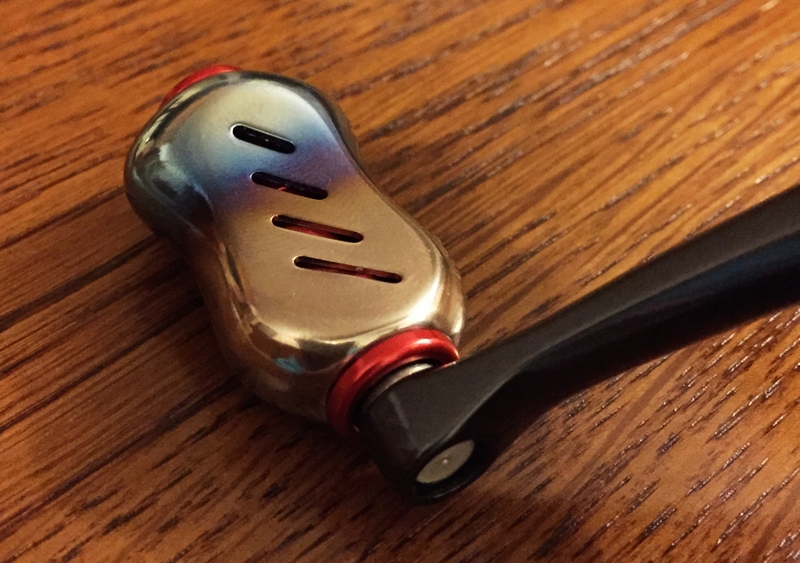 The machining on the handle is very nice, as is the full metal rear housing. 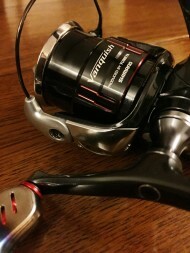 Black bail adds to the look. 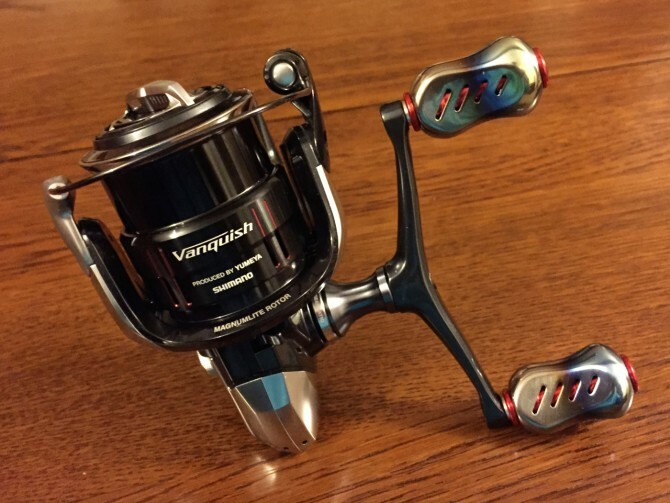 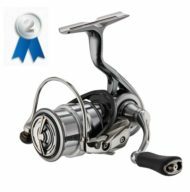 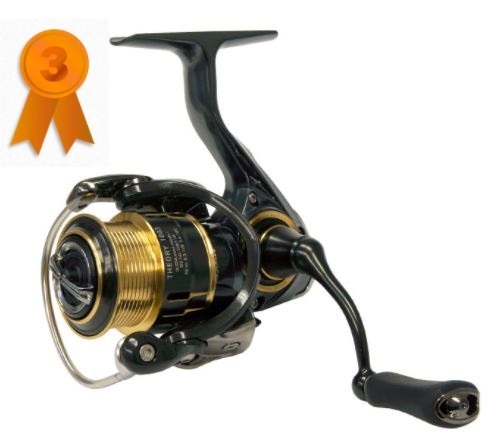 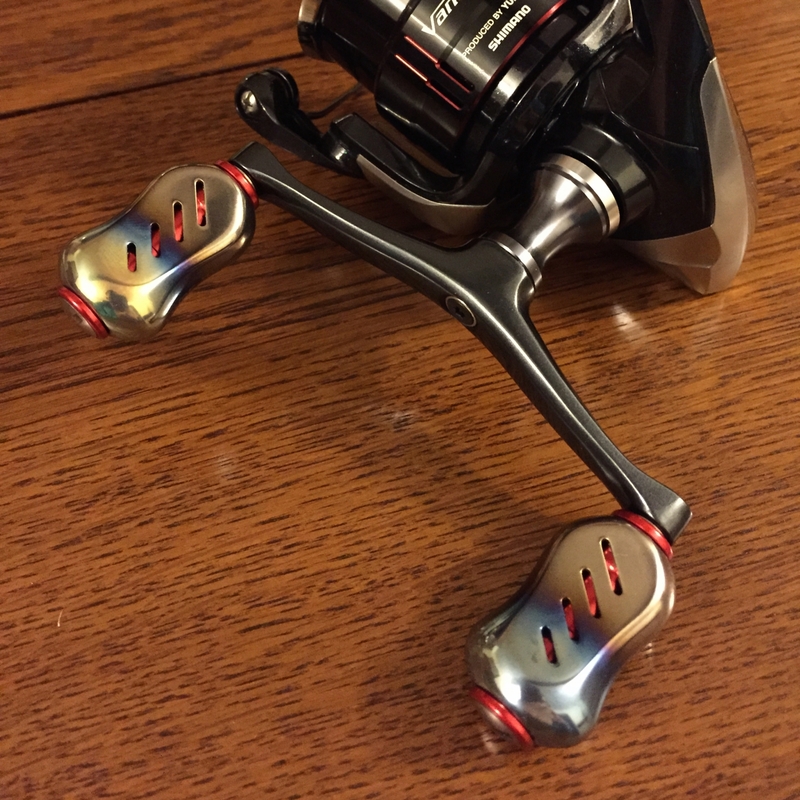 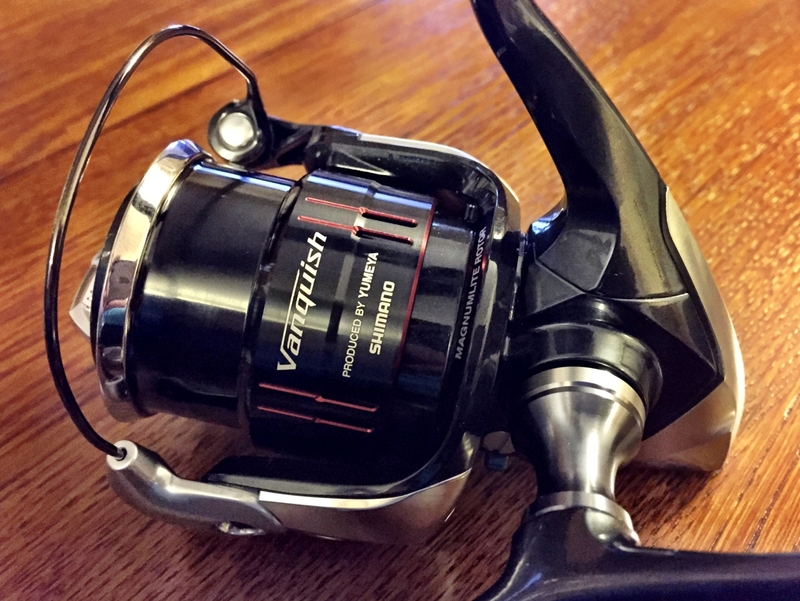 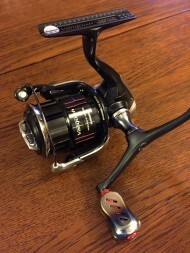 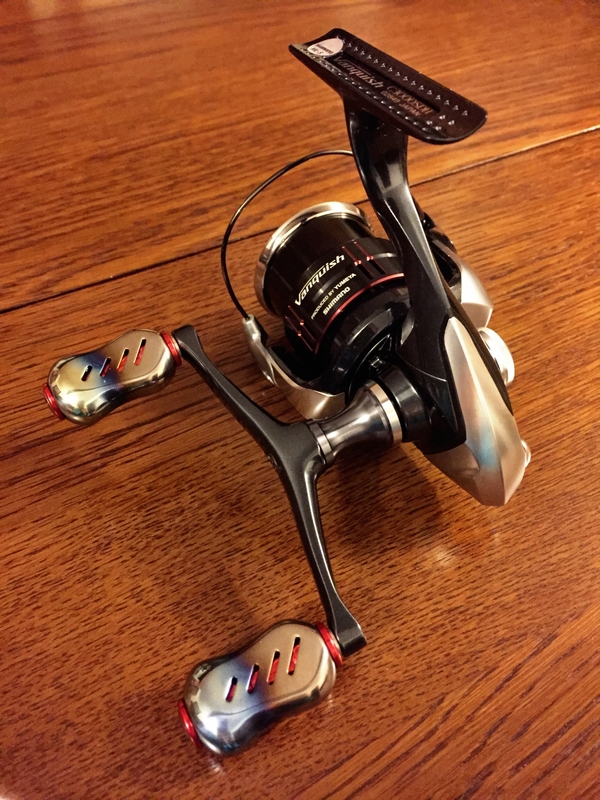 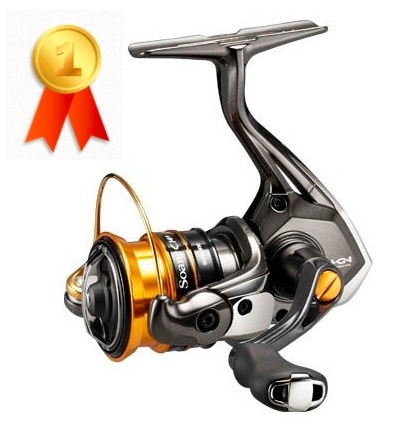 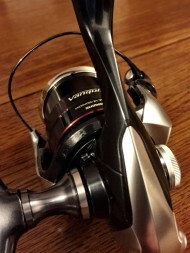 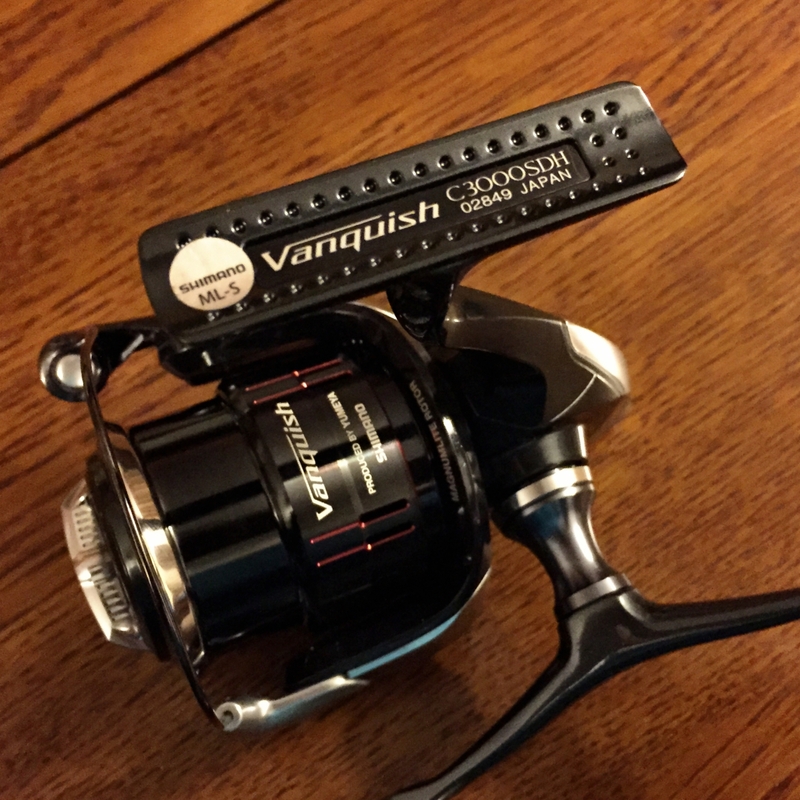 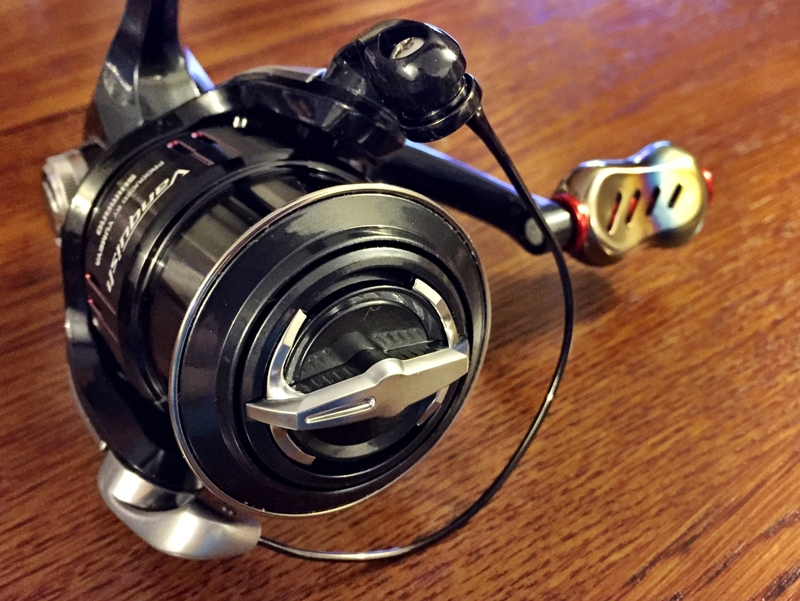 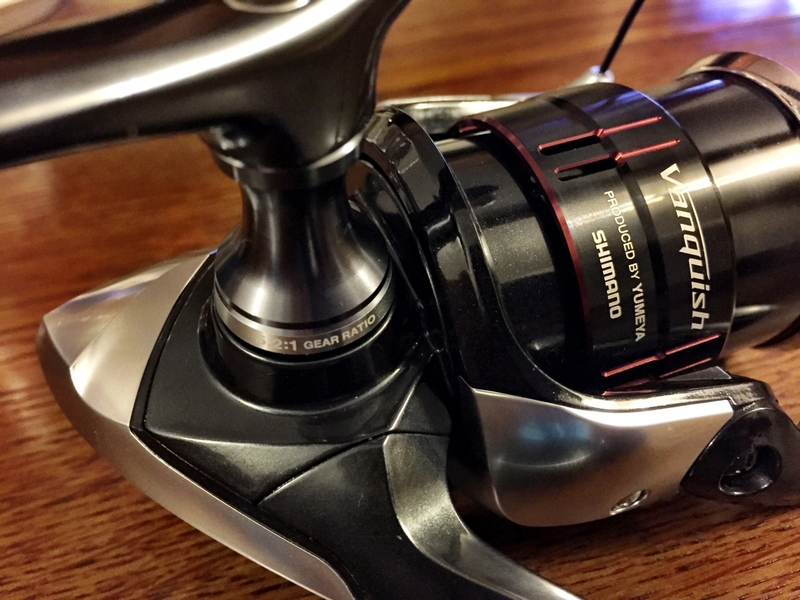 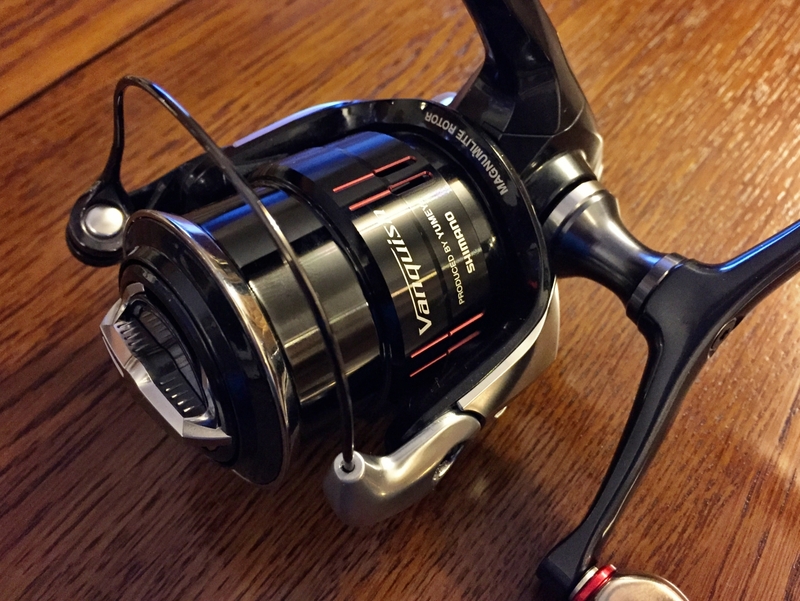 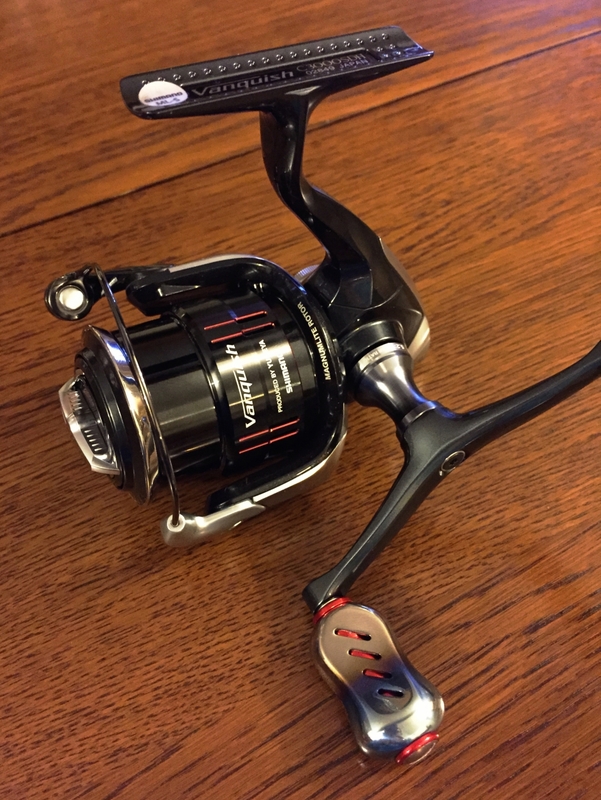 The Vanquish also features Shimano's new Light Weight Concept, using carefully selected materials to lighten the weight of the reel without sacrificing durability. 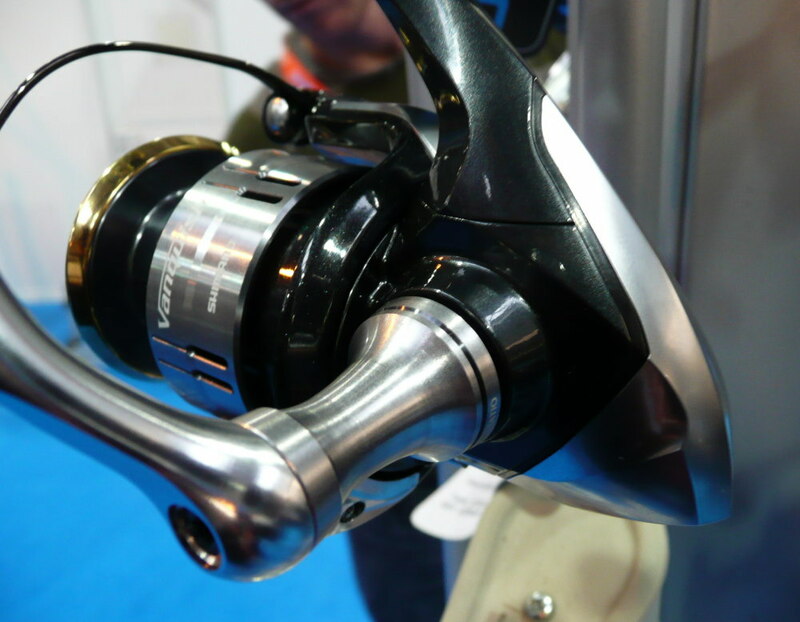 Wish they'd had smaller sizes on show.